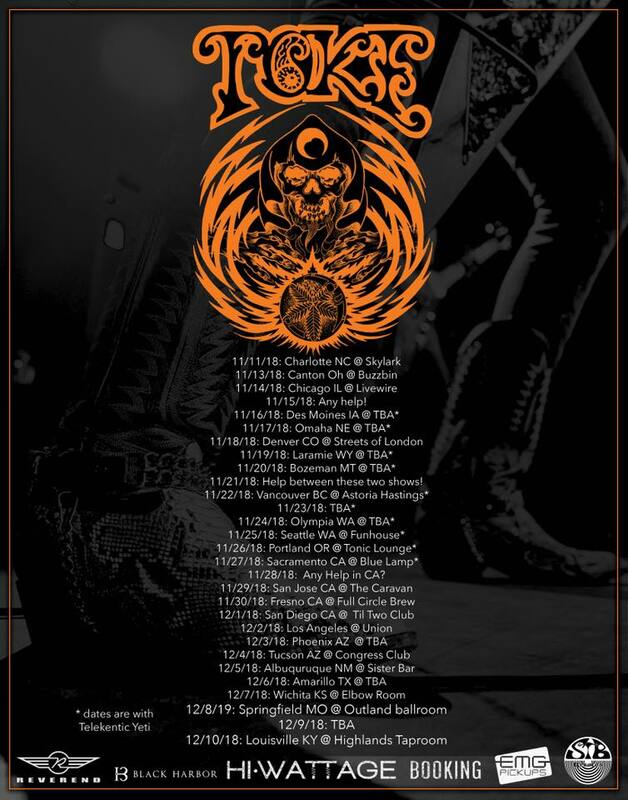 AZOTADOR – Touring USA For First Time, In February! Greetings, our thrash metal brothers and sisters from the United States! We are Azotador from Bolivia in South America and we will be coming to tour the United States for the first time for ten shows on the East Coast. We hope that you all can come to thrash with us while we are on the road and we want to meet you all! 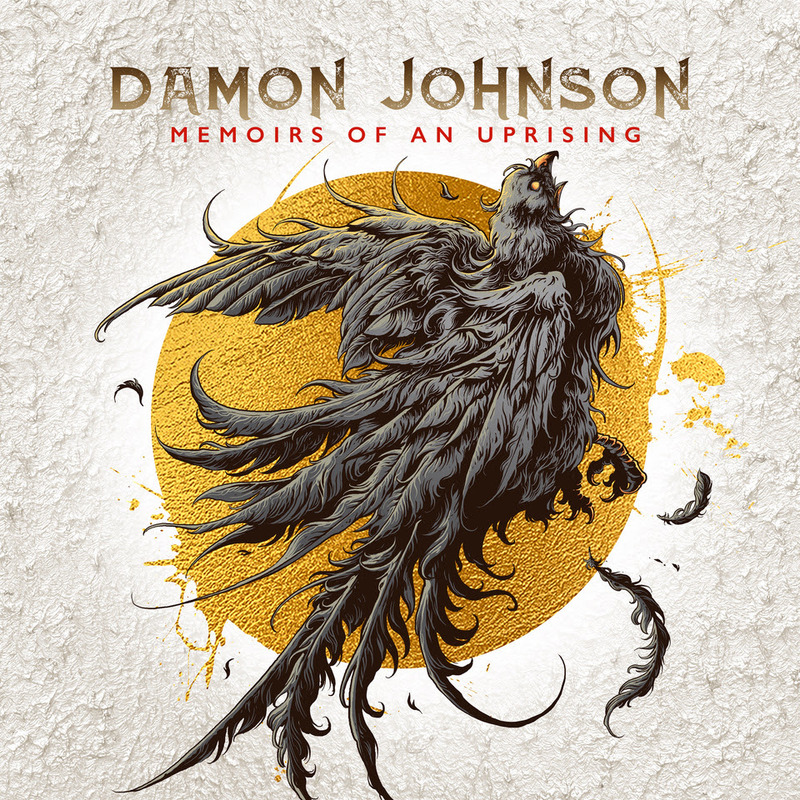 January 18, 2019 – Today, Double Dragon Records reveals the artwork and release date for Memoirs of an Uprising, the self-produced new album from singer/songwriter/guitarist, Damon Johnson. The album is set for release on March 8, 2019 with pre-orders beginning January 25, 2019. Fans who pre-order Memoirs of an Uprising will receive the album’s debut single, Shivering Shivering, as an instant grat track. Orders for a limited edition Red Vinyl pressing of the album can be placed here. After incredible runs with the bands he co-founded, Black Star Riders and 90’s chart toppers, Brother Cane, Damon Johnson found himself in spring of 2018 in a surprising position. Johnson had just completed a coast to coast tour with BSR supporting Judas Priest, as well as select reunion performances with Thin Lizzy, when he realized there were two things he couldn’t stop thinking about; his family and his music. Would 2019 finally be the year Johnson gives full focus to the music he kept hearing in his mind, composing an album, a true collection of songs that represented his personal vision, plus have the final say about his tour calendar? The answer was a resounding, YES! Johnson explains, “After that Priest tour I was feeling anxious about some things: getting older, where my career would be in 10 years, how much time I was continually spending (mostly in foreign countries) away from my wife and our two youngest kids…plus I was sitting on a near completed solo album of the most honest music I’ve ever made. Ignoring some hard truths could not be a part of my deal anymore.” So Johnson made the decision to part ways with Black Star Riders, finish his album, and start over…this time completely on his own name. Listen to sample of the thunderous first single, “Shivering Shivering” HERE. Album pre-order is available HERE. With a busy year ahead, Johnson will perform his first shows of 2019 at the end of January and continue throughout the year. Partial listing below with more to come. 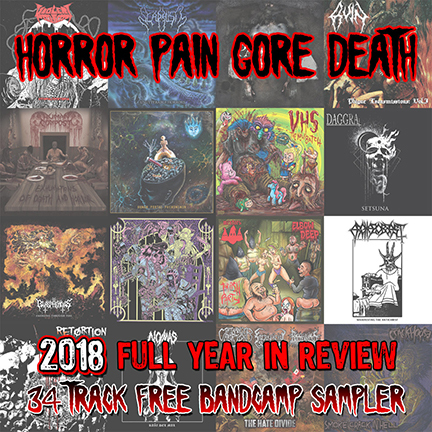 Horror Pain Gore Death Productions is proud to present the 2018 Full Year In Review: 34 Track FREE Bandcamp Sampler! LONG LIVE HORROR PAIN GORE DEATH PRODUCTIONS. 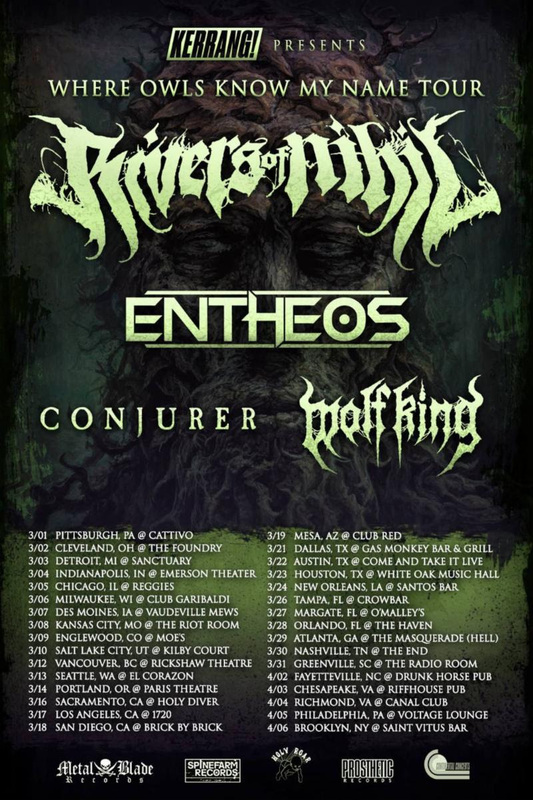 Currently wrapping up their European tour with Revocation, Archspire, and Soreption, RIVERS OF NIHIL will head back out on the road this spring on a North American headlining tour. The journey will run from March 1st through April 6th. Support will be provided by Entheos, Conjurer, and Wolf King. See all confirmed dates below. 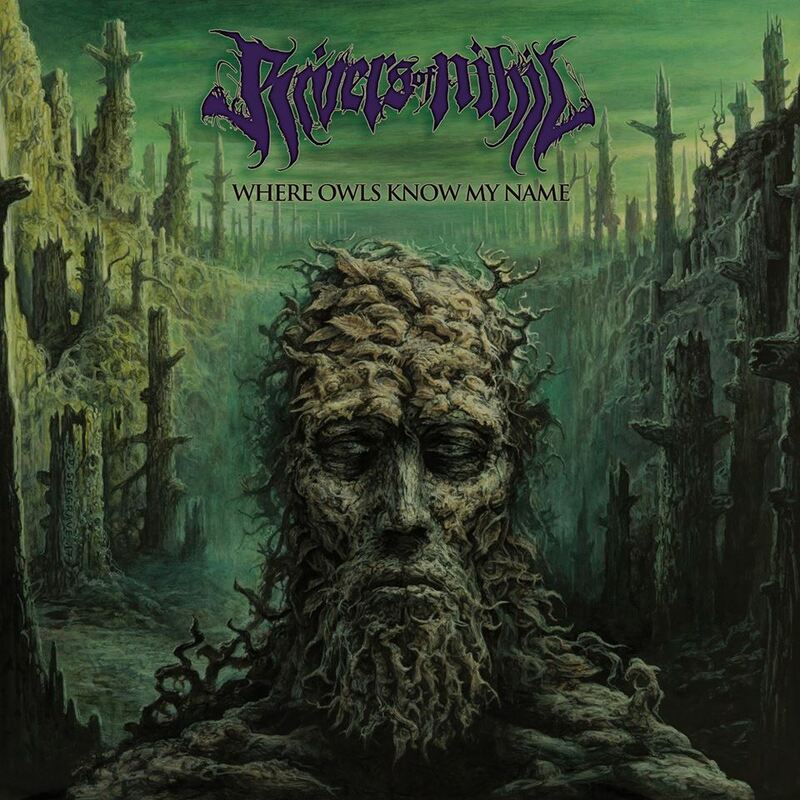 RIVERS OF NIHIL will be touring in support of their Where Owls Know My Name full-length recently issued via Metal Blade Records. Where Owls Know My Name debuted on the Billboard and Canadian music charts at #3 Top New Artist Albums (Billboard / US), #9 Current Hard Music Albums (Billboard / US), #57 Top 200 Current Albums (Billboard / US), #61 Top 200 Albums (Billboard / US), #50 Top 200 Chart (Canada), and #10 Top Hard Music Charts (Canada) upon its first week of release in March. To preview and purchase Where Owls Know My, visit: metalblade.com/riversofnihil. North Carolina’s Stoner and Doom power trio, TOKE, are ready to embark on a tour of the states, commencing on November 11th in Charlotte. Check out the tour flyer above, to see if TOKE will be in your area! 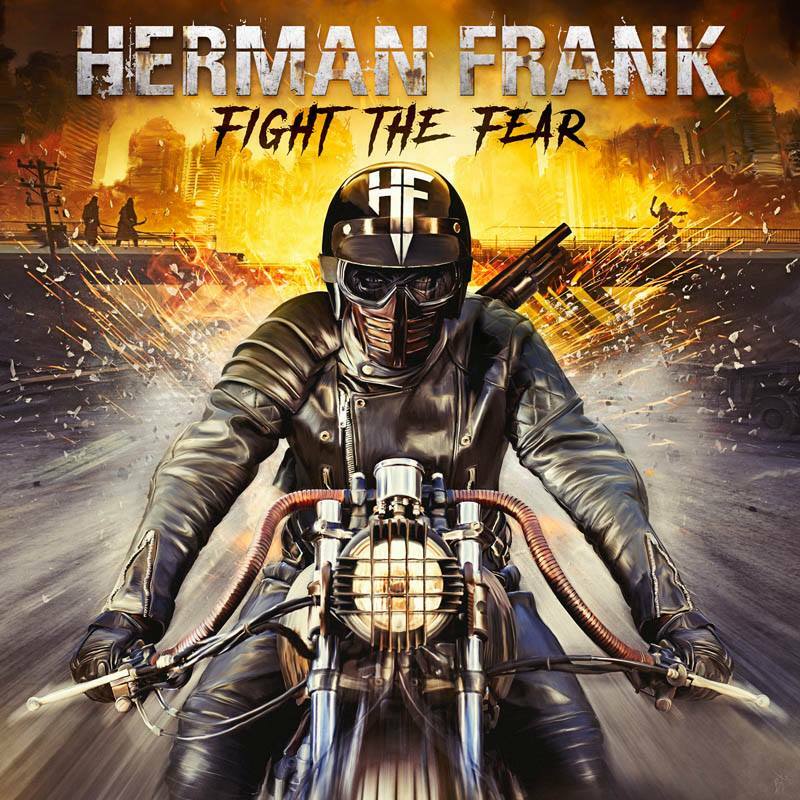 AFM Records are thrilled to announce the new HERMAN FRANK album Fight The Fear. 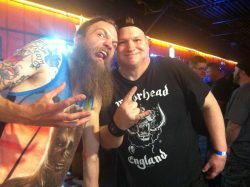 Introducing Heavy Metal veteran HERMAN FRANK to the crowd is just meaningless, like carry coals to Newcastle. The guitarist has been an integral part of the German metal scene since the early 80s. From ACCEPT to VICTORY to his solo project starting in 2009 and his work as a producer. Fight The Fear, releases by AFM Records on February 8th, 2019 and is the fourth studio album of his band’s history. Fight The Fear thrills with Herman’s guitar attacks, killer riffs and outstanding, powerful vocals with good hook lines and catchy choruses. A Teutonic Metal fireworks as it could not be better! The wait is finally over! 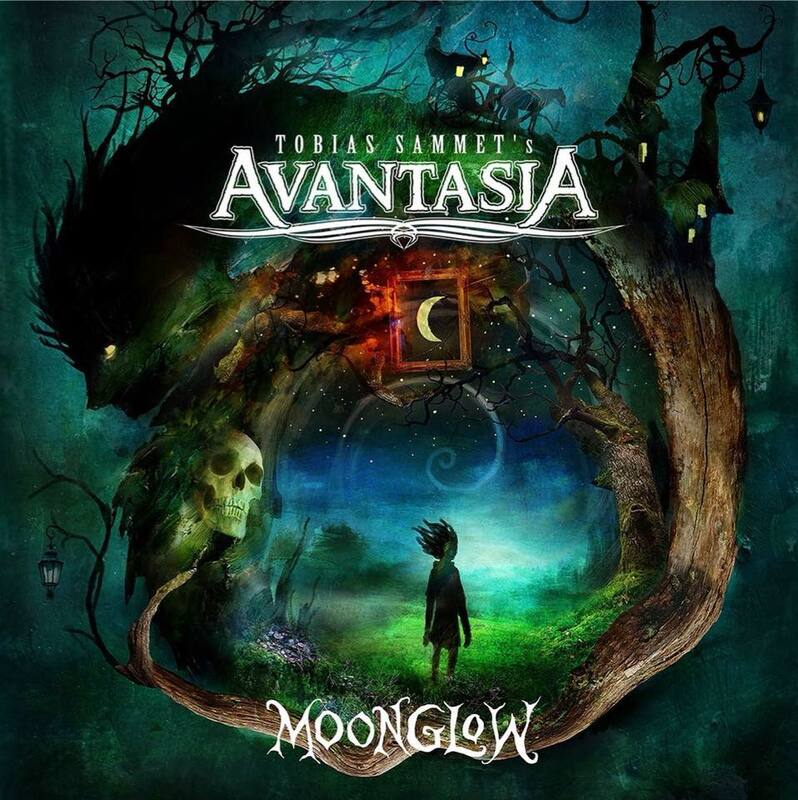 Tobias Sammet is pleased to announce the release of the upcoming AVANTASIA masterpiece Moonglow on February 1, 2019 through Nuclear Blast. Comprising 11 tracks, the new opus once again features several guest vocalists. This time round, Tobias worked not only with well-known faces such as Ronnie Atkins, Jørn Lande, Eric Martin, Geoff Tate, Michael Kiske or Bob Catley but also with new singers like Candice Night, Hansi Kürsch and Mille Petrozza who help to vitalize the new AVANTASIA record. Its cover artwork was created by Alexander Jansson. Comments Tobias Sammet: “It’s alive! After more than two years of hard work – and what felt like 71 overnight shifts back to back recently – we’re ready to unleash Moonglow upon the universe. I believe it’s the most adorned and detailed album we’ve ever produced. Not over ambitious, but there is a lot of love for detail in there. AVANTASIA is the ultimate playground for a musician’s wildest fantasies to come true: Celtic elements, world music elements, big choirs, atmospheric stuff, amazing guest vocal performances and of course all that wrapped up in what I consider to be the typical AVANTASIA sound. Someone in the music business just told me that the embellished nature of the sound makes it hard to market it, it doesn’t fit in the contemporary musical landscape and “if you take a look around, no one really sounds like that.” – EXACTLY! THANK YOU! I can’t wait to release Moonglow, take my friends of the AVANTASIA family and hit the road for the big Moonglow World Tour.